It’s that time of the year: the flowers are blooming, the birds are singing and you’ve got the Special Day to attend so we’ve picked some hot looks for you!!!! 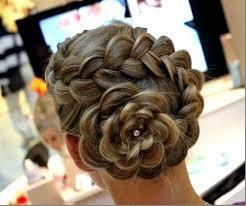 You want to make sure your prom hairstyle and your prom makeup work with your dress. Below are the hottest looks for this Prom & Wedding Season. The hottest hair color trends for 2014 include ombré, platinum, dip-dyes and bright hues. Think blond, red, rich browns, and audacious colour. Pamper yourself with colour this Mother’s Day!! !